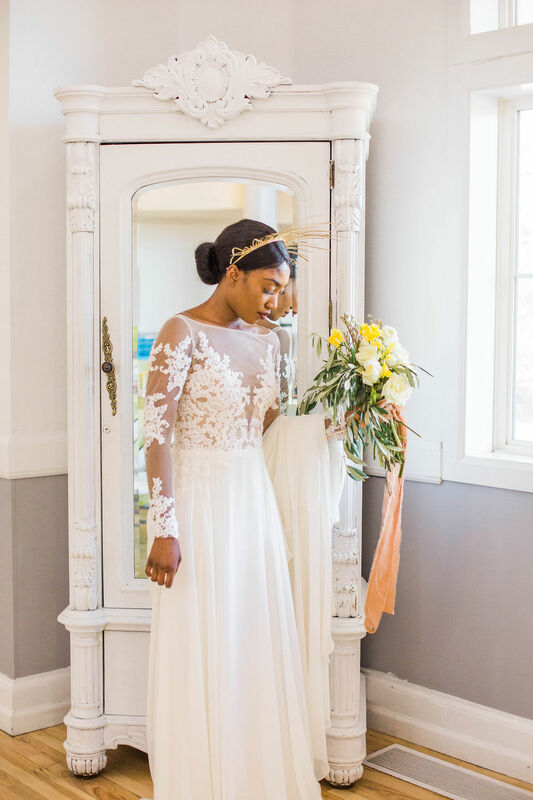 This fresh, spring bridal shoot was organized shortly after the first “bomb cyclone” hit Denver — and we are thrilled with how these images turned out! One of our favorite Denver photographers, Allie + John Photography, approached us to do an editorial photo shoot with a custom halo. 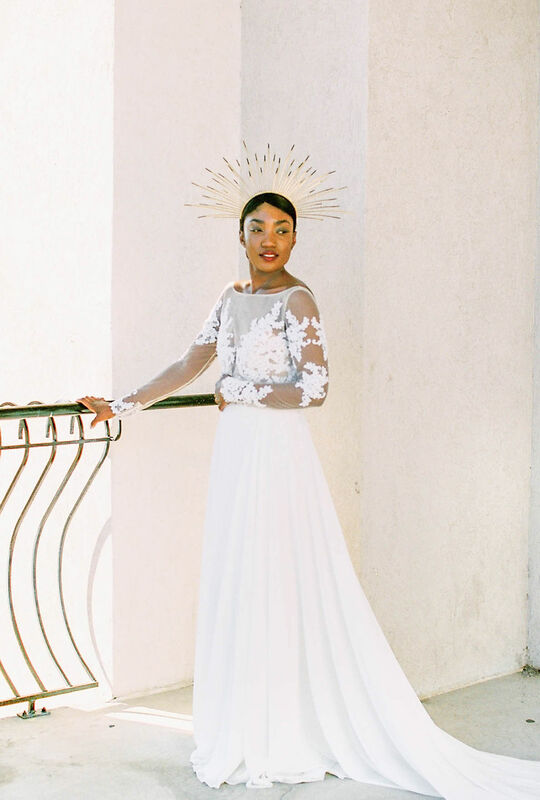 When it comes to wedding dresses and shoots, we love something new and different! With an edgy accessory like that, we couldn’t say no! We chose our Tara Keely bridal style #2754 with long sleeves to give a more ethereal effect and a beautiful contrast of the lace on the model’s skin! After all, lace wedding dresses are always a good option. 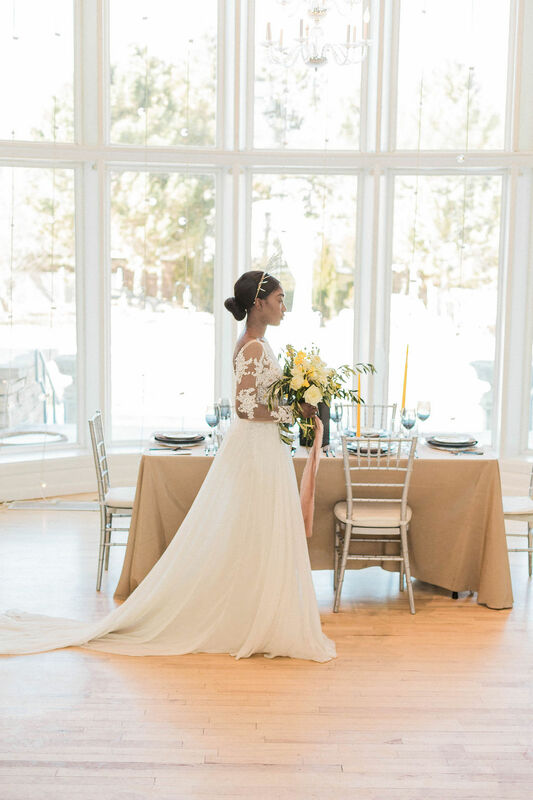 A popular request from our brides when they come dress shopping is a dress with long, lace sleeves and a dramatic back. This beautiful wedding dress features simple skirt materials that have also been on trend. 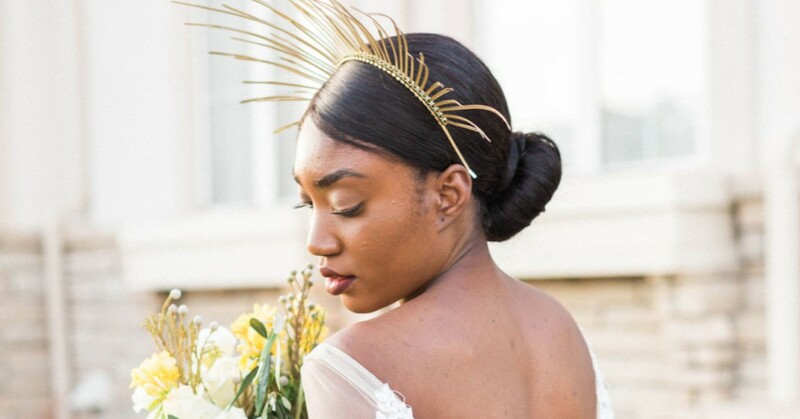 It’s a more minimalist vibe that has been at bridal market runways this spring. The lace appliques and the deep V back are some of our favorite details of this popular style! 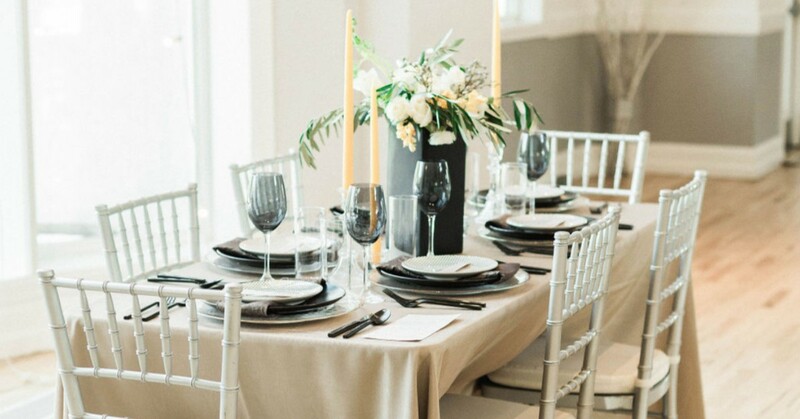 Allie then captured some gorgeous shots of the table styling by Abena and planning by Details Details Co and modern touches in the decor to bring the colors, metals, and lighting together. We were very pleased with the modern inspiration, and hope it sparks some imaginative ideas for our Colorado brides getting married soon! This beautiful style is one of our favorites under $2,000. Give us a call to try our exclusive Tara Keely collection only found at Blue Bridal Boutique! We’re located right in Denver and have all the wedding dresses you could dream of — and more! Schedule your appointment today. Check out all of the fabulous vendors involved on Instagram below!